At Bagula, Riviere, Coates and Associates, we respond quickly to any issues concerning faulty construction. 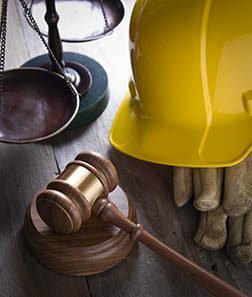 You can rely on our extensive experience in construction law to vigorously protect your interests. We understand the sometimes complex relationships that arise between contractors, subcontractors and homeowners, and will work to resolve disputes efficiently and effectively. Whenever possible, our construction attorney will try to resolve disputes through the use of alternative dispute resolution. This method is often less expensive and contentious than a lengthy court battle. However, if litigation is the only way to resolve a dispute, you can rest assured that we will represent you aggressively. Our firm represents home owners, commercial building owners, and contractors in construction defect claims litigating to recover for damages or defending allegations that construction project were not completed properly. Construction defects are the failure of the building or building component to be erected in a reasonably workmanlike manner or to perform in the manner intended by the manufacturer or reasonable expected by the buyer, which causes damage to the structure. These defects can cause serious damage to property and may require expensive repairs to prevent further damage or make the construction conform to a building code. You want construction attorneys with the experience to protect your rights in any legal proceeding, who have successfully helped others in similar situations for many years. Your contract may require you to attempt to resolve disputes through mediation or arbitration or other processes before going to court. We offer experience in mediation and arbitration, and Court. At Bagula, Riviere, Coates and Associates we have an extensive network of experts and outside consultants to help the firm investigate the claims and protect the rights of parties in construction defect claims. To arrange a free initial consultation contact our construction attorney or call us today!